Pretty Green has today launched their third collection in collaboration with The Beatles. 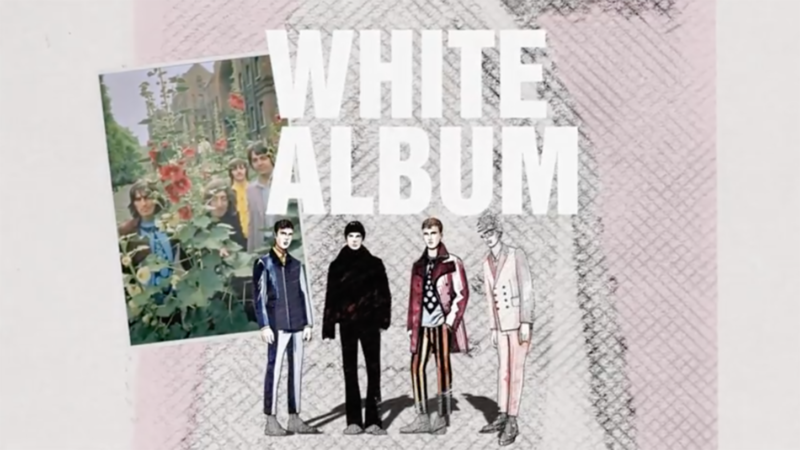 The collection focuses on the legendary White Album, in particular the infamous 'Mad Day Out' photo session, shot by Don McCullin on 28th July 1968. The new collection takes inspiration from the pieces worn by the Beatles on this photo session, when McCullin photographed the band at various locations around London such as Whitechapel, Old Street and the Sunday Times building on Gray’s Inn Road. Candy stripes and bright block colours feature within the collection, along with Pretty Green's own signature stamp. The new collection is available in-store and online now.